Usually one of the last things you want to do in the airport is have a conversation with a TSA agent about something she’s found in your carry-on luggage. The best thing you can do is go almost completely unnoticed and thank your God or your lucky stars you didn’t get detained or lynched, this time. Next time, maybe. But for this trip, you’re off free. You can breathe easy. That is not what happened to me. I was in a very small Midwest airport when I was stopped. Small airports are usually relaxed. There were no passengers behind me. The TSA agents were not expecting any terrorists to come through their lines. It was too cold outside for terrorists, and in too remote a region of the United States. The agent asked if I had any liquids in my bag. I could have lied. I could have said no. But you play a dangerous game when you clearly mislead your national security agents. Most of the time you’ll get away with it. It’s that one time you won’t that’ll ruin your life. Yes, I said, I have a little liquid in there. I unzipped. I pulled out my yellow package of Vitamin B sublingual liquid. This is a lifesaver, I told her. I’ve written many times about how Vitamin B gives me more clarity throughout the day. “Throw it in the bin,” she said, and pointed to one of the grey tubs that held my shoes, belt, and smartphone. “What’s this?” she asked, and picked up a wrapped and sealed container with the word GREENS on it. “Cream?” she asked. She gripped it in her sterile plastic gloves (at least I hope they were), and shook it close to her ear. “Powder,” she said to herself. I felt an explanation was expected. That is no ordinary powder, I said. Two tiny scoops of that will fill your body with 8 servings of fruit and vegetables. The vitamins and minerals are derived from natural sources. There are high doses of magnesium and potassium to alkalize your body as well. An alkaline body will not support the growth of cancer. Cancer needs sugar and an acidic pH to thrive. The radiation booth! I thought. You jealous snake! Put my precious vitamin and mineral powder through that body scanner? You know, I told the female agent, you should look into this green powder. It gives you a boost. It would help you endure standing on your feet all day. 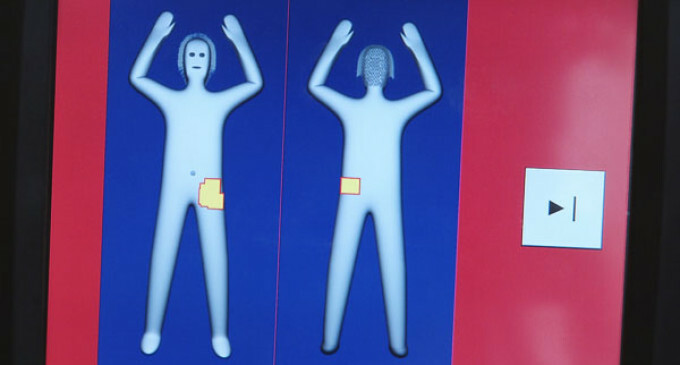 It might even protect you from standing by that body scanner giving off bursts of radiation. I can’t guarantee these claims, I said, but I can vouch for the product giving extra energy and stabilizing the body. She squinted at the tub of Greens. You people are human too, I said. You deserve to be healthy and happy. “Let’s keep it moving,” the barrel-bellied agent behind her said, even though there was nobody in line after me. “You’ll have to hold that powder in the booth with you so I can get a reading on it.” He was the type of agent who reveled in making rounds with the drug sniffing dog. A dog that usually has trouble determining the differences between contraband and ham sandwiches. The female agent said she’d like to give the Greens a try. I fished a business card out of my opened luggage. Here, I said, visit this website and send me a message if you’re interested. You can get the breakdown of natural ingredients in each product. It’s called phyto-therapy, or plant based nutrition. What did it say about this stuff? I asked him. What kind of reading did you get on this? “It’s all clear,” he said. He wouldn’t look me in the eye. Well now that you radiated my precious herbs and vitamins, you ought to tell me if that highly advanced scanner read into any of the health benefits or analyzed any of the particles of powder. I’d be happy to hear the scanner’s breakdown. “That’s not what that piece of machinery does,” he said. If it can read my DNA to tell if I’m a terrorist or not, I’d think it could vouch for this health product and give an in-depth analysis about what’s in here. I shook the tub and looked him in the eye. He waved me on, but he did it sternly. Without looking at me. I felt my luck was running out. I’d recruited one TSA agent onto a better health plan, possibly, and I’d dodged an unhappy commotion about having a little Vitamin B in my suitcase. This is now the year 2014. No longer the Year of our Lord. We’re on our own. It’s going to be a freaky 365 days. New technological advances you haven’t dreamed of. More drastic government secrets will be unveiled. You’ll have no means to curb the injustice. However, you can be healthy, physically. That will help ensure your stability mentally and spiritually, as the three are combined. I should get to walk freely through TSA checkpoints from now on, considering I am looking out for their health. I will continue to travel with health products in my luggage, and I will now boldly yank them out at the right time to make a pitch. Get healthy in 2014! I’ll exclaim to everyone I talk to this entire year. Make wellness your priority! You’ll have to look out for yourself from now on. We’re living in the modern world, where we’ll soon understand with greater clarity that we’re being controlled by madmen and their machines. You best do what you can to ensure a positive existence among the chaos. For God’s sake, improve your diet!